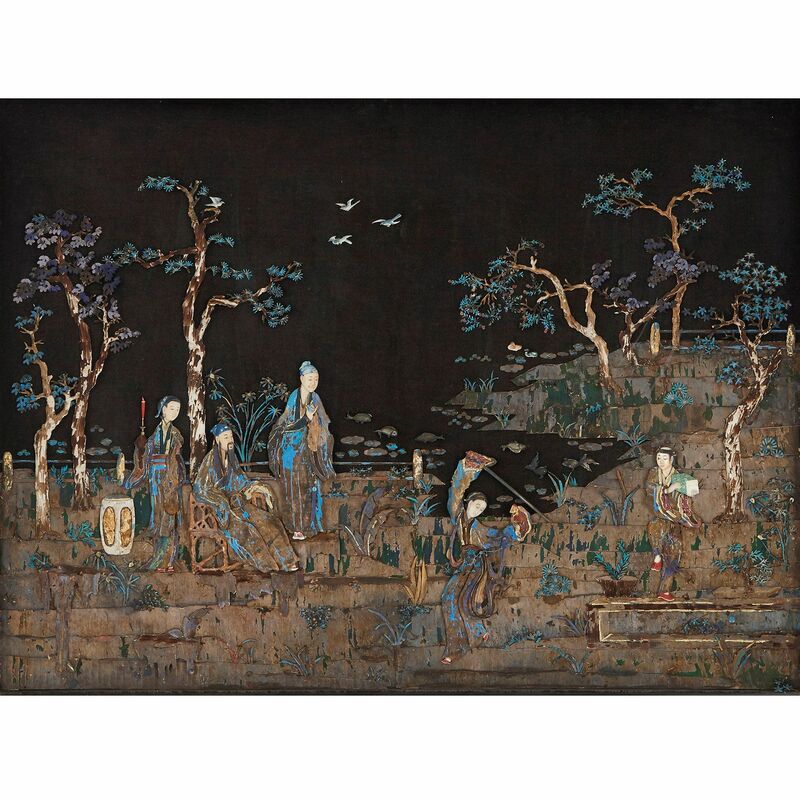 This stunning antique relief panel is notable for its exceptionally fine detailing, and depicts a truly magical Chinese landscape scene with figures. 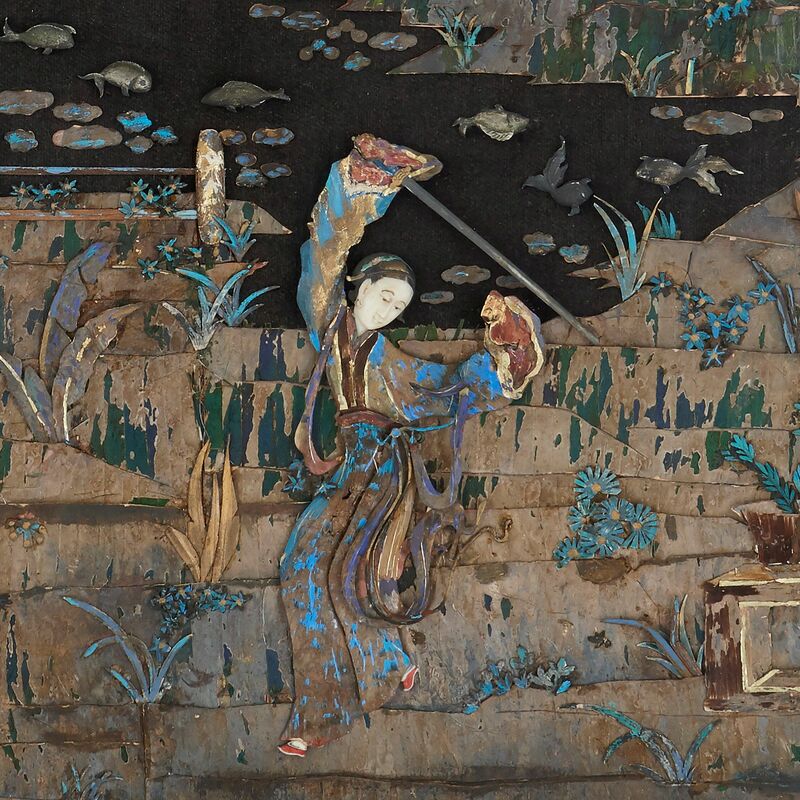 The art of the sword dance is a Chinese tradition dating back over two thousand years to the Han dynasty, and came to symbolise communications with the supernatural, as well as a form of entertainment to tell stories and tales. Often set to music, the sword dances might be quick and demonstrate the strength of the dancer, or smooth and focus on relaxation and flexibility. The art of the sword dance is a Chinese tradition still practised today, and a closely guarded piece of historic Chinese heritage. 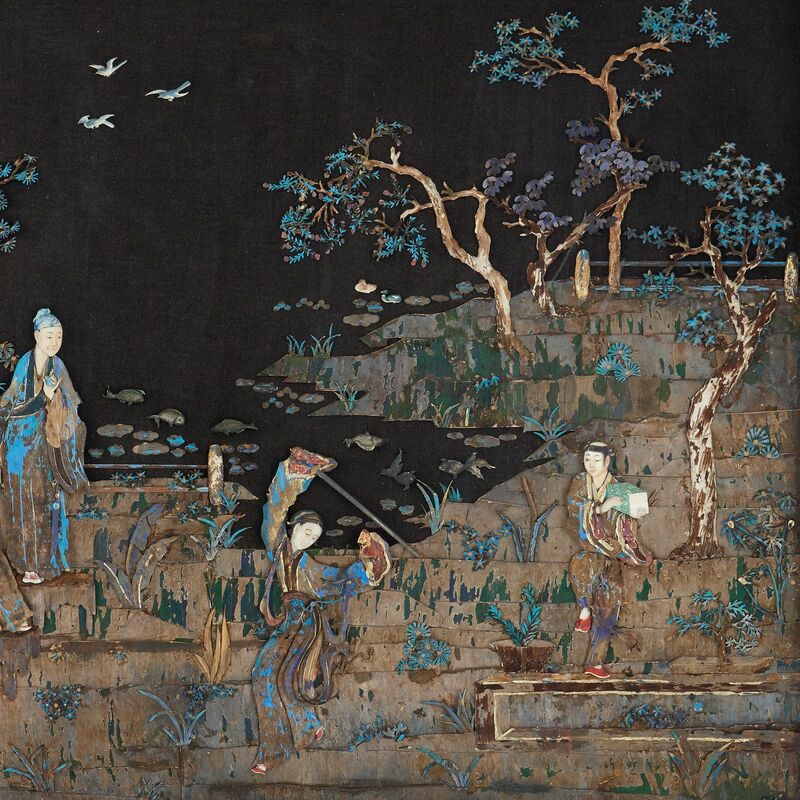 This fine relief panel depicts a group of figures in a landscape observing a sword dancer, who is shown with the sword moving through the air. 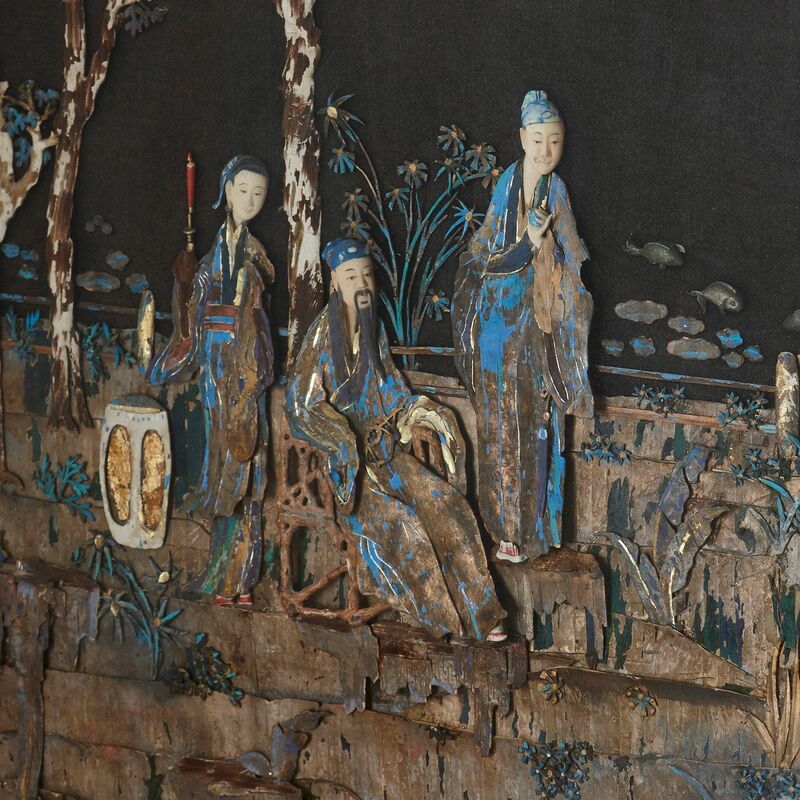 A seated gentleman, of nobility or possibly an Emperor, is seated on a bamboo chair during the entertainment, while three other figures also observe the sword dance. 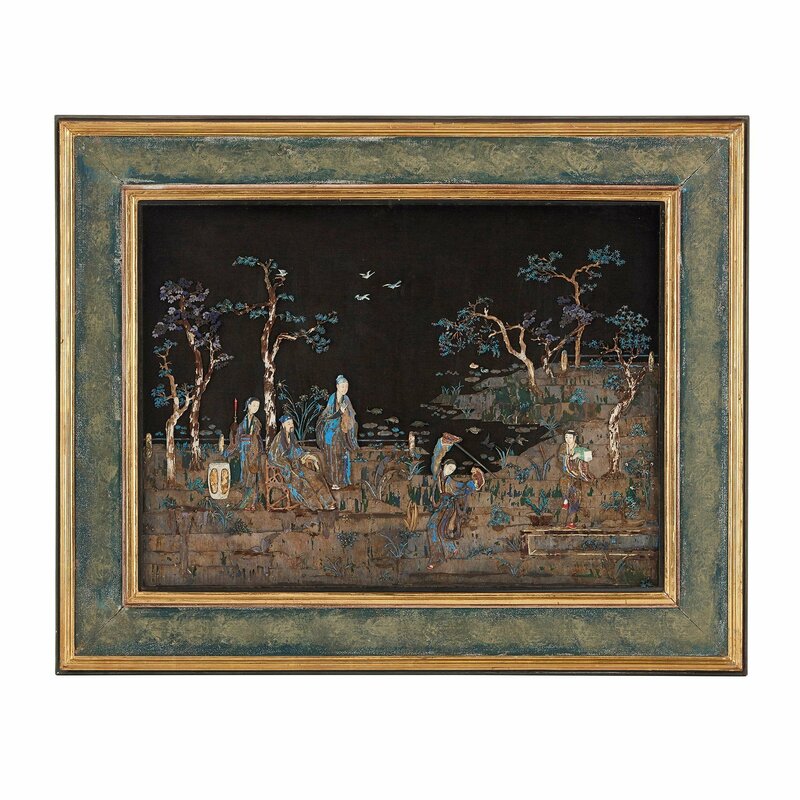 The scene is set by a river or lake with fish, and features delicate trees and birds flying above which lend the composition an impressive, stylistic depth. 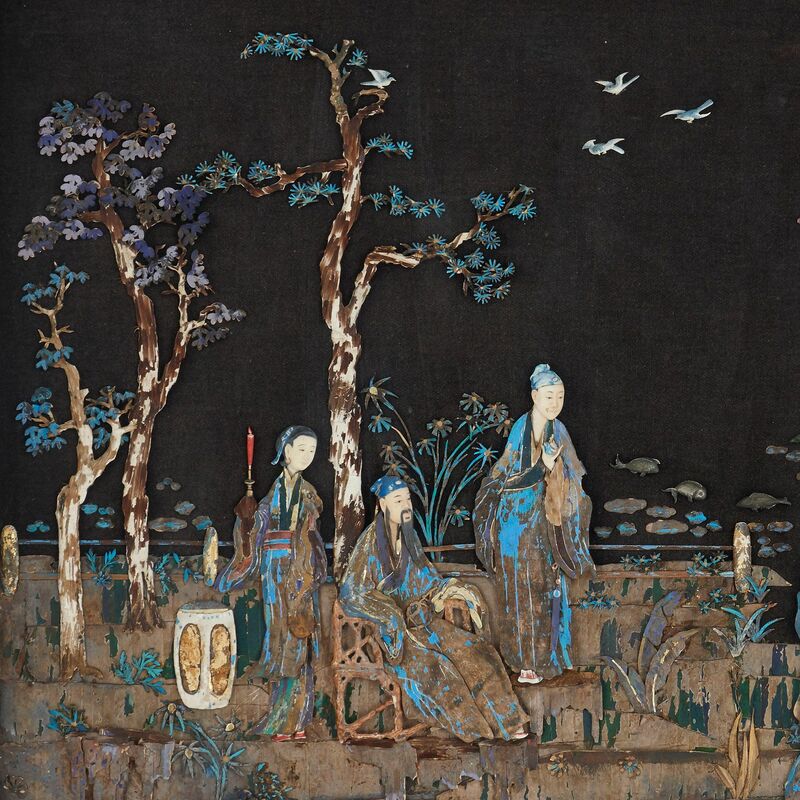 Small details within the composition are depicted in ivory, such as the faces of the figures, which contrast against the strong, turquoise pigments and the intense black of the background. The panel is set into a painted and gilt wood frame.